**Creative Green Living recommends purchasing these ingredients as organic where available to avoid GMOs, pervasive pesticides and/or questionable farming practices. Cut one end off of the watermelon. 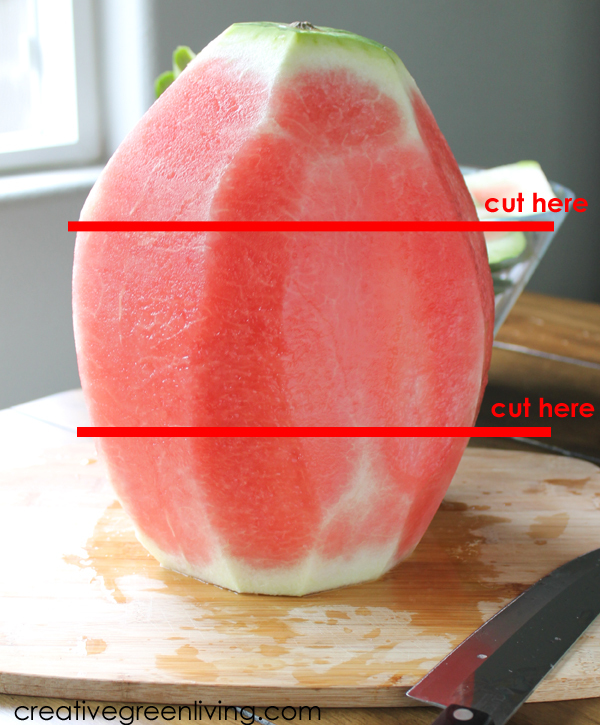 Turn the watermelon so it is standing on the flat end and use a chef's knife to cut away the rind. Look at the profile of the watermelon. Most watermelons will be narrow on bottom and on top. Cut off the sloped bottom and top so you are left with a middle piece, about 4 inches in height. 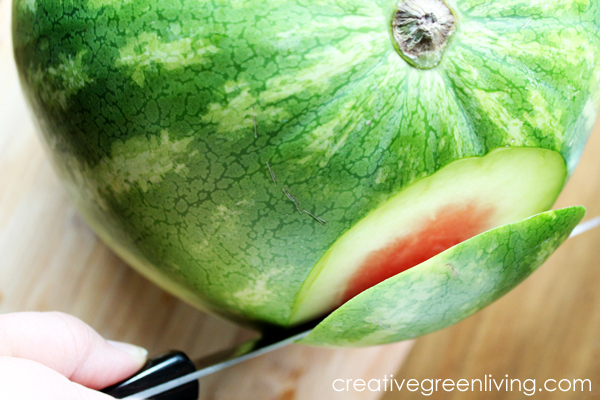 Use your knife to shape the remaining watermelon into a round shape. 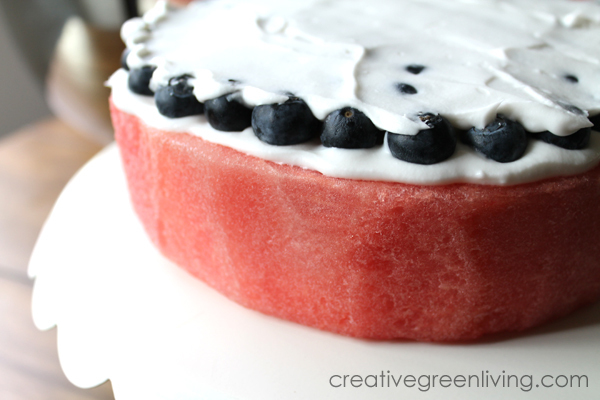 Finally, cut the round watermelon "cake" in half, creating 2 stackable rounds. Wrap each round in paper towels to absorb surface moisture and set aside until frosting is ready. 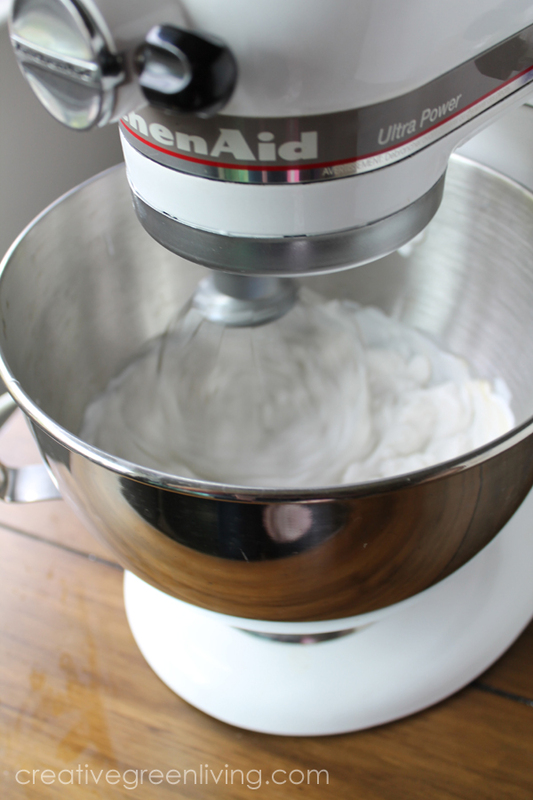 To a large mixing bowl, add 2 cans of coconut cream, 1/4 tsp almond extract and 1/4 tsp vanilla extract. Mix until well combined. Add 1 cup powdered sugar (or 1/4 cup honey if making the paleo version) and mix on high for 1 minute. 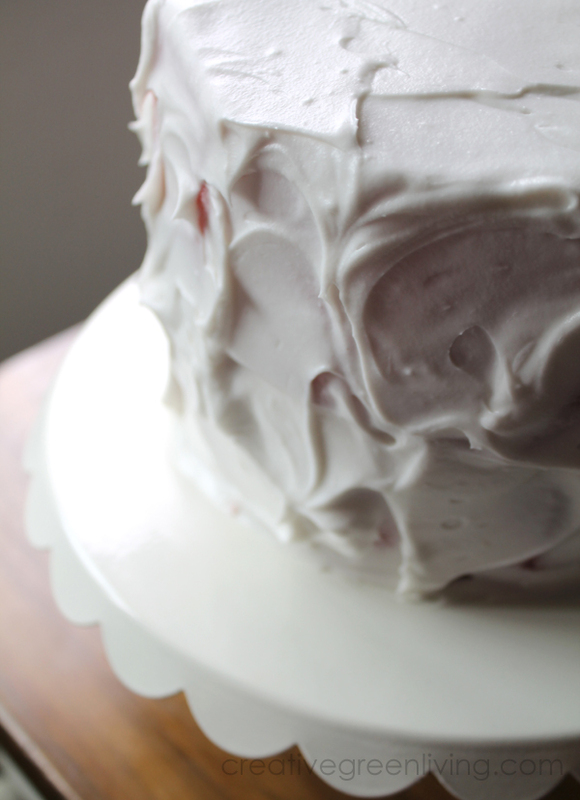 Once mixing is complete, put frosting in fridge for 1-2 hours to firm up. 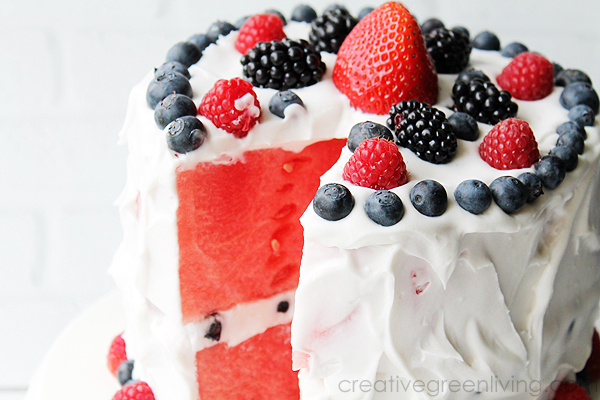 To assemble the cake, place one piece of watermelon on a cake stand. Top with approximately 1/2 cup of frosting, spreading to the edges. 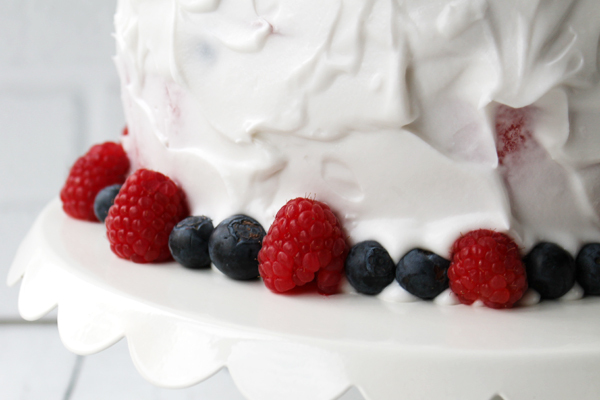 One at at time, place blueberries in the frosting, close together, to cover the frosting layer. Top with another 1/2 cup frosting and spread smooth. 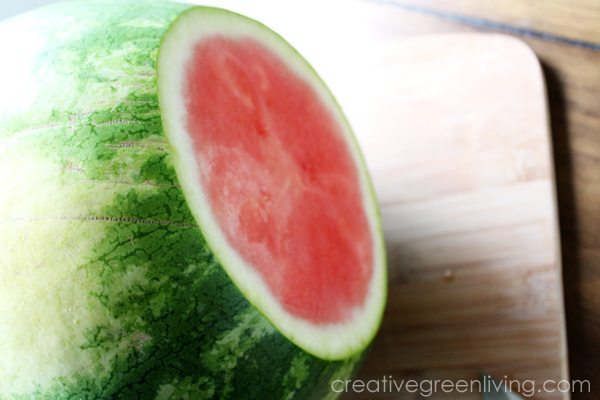 Place the next watermelon layer on top. Frost the top and sides of the cake. 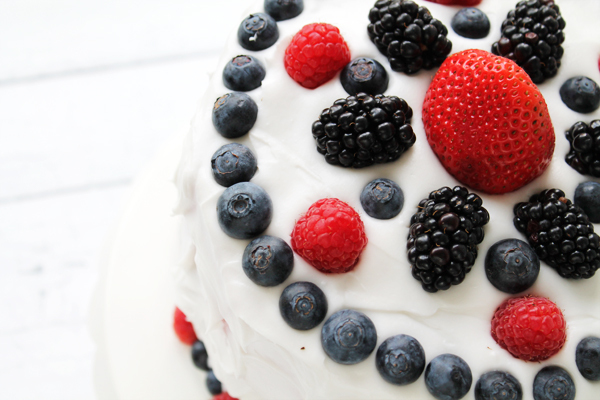 Garnish with berries. For best results maintaining the layer structure once sliced, allow to sit at in the fridge for 1-2 hours to allow the frosting to set. If you liked my recipe, please give me a social media shoutout by pinning, tweeting or facebooking about it! Have you ever needed to have a dessert for your gluten free, grain free, dairy free, processed food free friend or vegan family member and had NO IDEA what to make? Or maybe you're the one with dietary restrictions and you are tired of not having dessert. 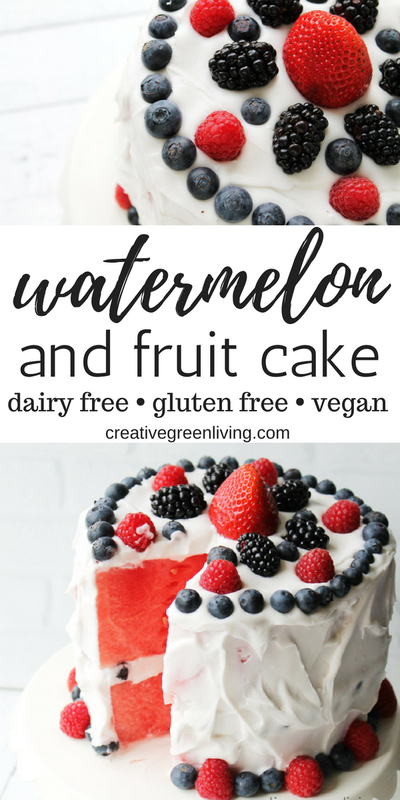 Whether you or a friend is a vegan, paleo, or gluten free, you can still make a fun "cake" that everyone will enjoy. 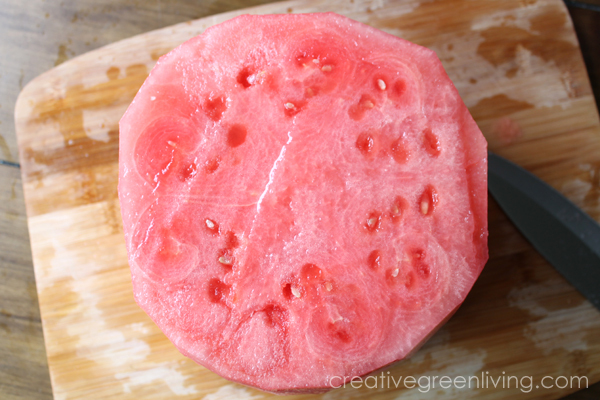 Cut the rind off of the entire watermelon. Cut off the sloped top and bottom so you are left with a large round center with straight sides that you will use for the cake. 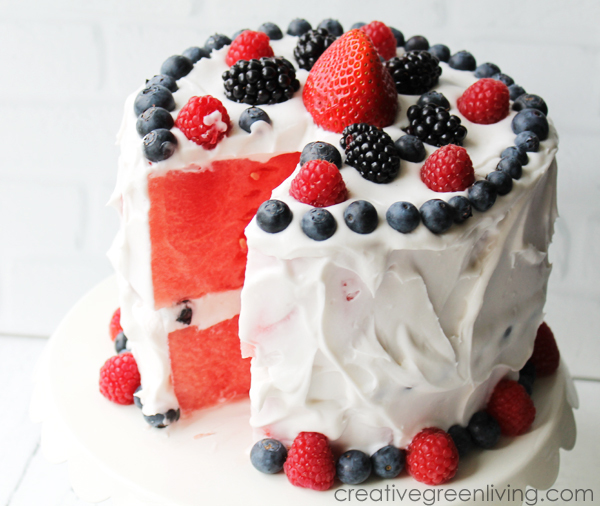 Slice in half to make two layers for the cake. 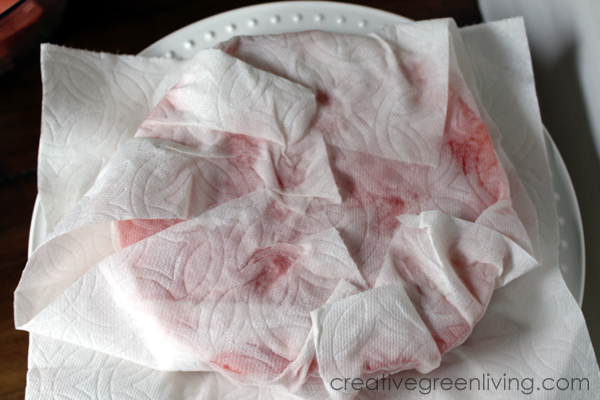 Wrap the watermelon cake layers in paper towels or a clean flour sack towels and set aside until ready for frosting. To a large mixing bowl, add 2 cans of Trader Joe's coconut cream, 1/4 tsp almond extract and 1/4 tsp vanilla extract. Mix until well combined. Add 1 cup powdered sugar (or 1/4 cup honey if making the paleo version) and mix on high for 1 minute. Put in fridge for 1-2 hours to firm up. For best results maintaining the layer structure once sliced, place in the fridge for 1-2 hours to allow the frosting to set before slicing. Trader Joe's is the only brand of coconut cream I have found that is thick and creamy throughout the whole can. Others have a cream layer on top but are still watery underneath. I finally got around to reading this post after seeing both of your Instagram posts about it. It looks delicious! I pinned it and will definitely be trying it later this summer. Maybe for the 4th of July!